GM Warranty and Protection - Premier Chevrolet Cadillac Buick GMC Inc. In addition to our standard New Vehicle Limited warranty, all 2007 and forward GM passenger cars and light-duty trucks are covered by this exceptional warranty. There is no deductible for repairs and this warranty is fully transferable at no charge. 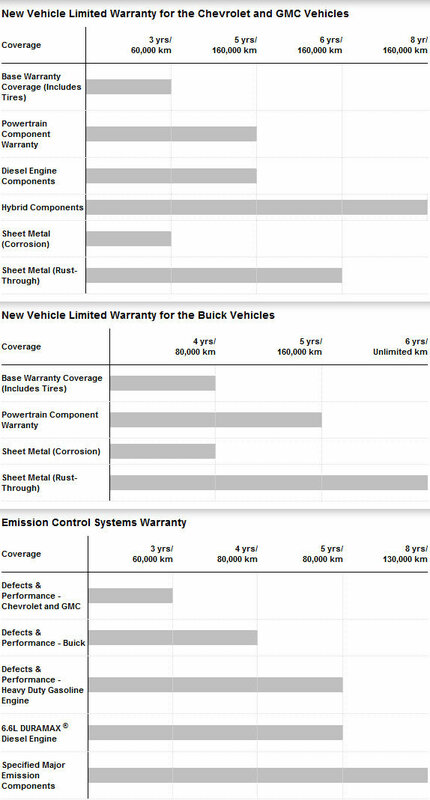 Get protection from repair costs that occur beyond the GM New Vehicle Limited WarrantyTM period. Different coverage levels and terms are available to suit your driving needs and budget. The Cadillac Warranty covers the cost of all parts and labour for necessary repairs with no deductible. The limited warranty is valid for the first four years or 80,000 km of ownership, whichever comes first.